Most films are conceived as a work solely for entertainment value. Movies are just something to watch, laugh at, intrigue, mystify, or frighten the viewer. Some movies do however every once in a while deliver a message that hits you dead smack in the face but none truly affect the viewers way of life. Enter Fat, Sick and Nearly Dead. Since watching this movie I have changed my lifestyle and improved upon not only my own health but others around me also. How did I come to watch this film? One day my friend at work Andy says to me “You gotta watch this movie dude. It has changed my way of life. Watch this trailer on YouTube and tell me what you think.” After watching the trailer for Fat Sick and Nearly dead I was determined to check out the full film. I had recently watched Food Inc on netflix and discovered this gem was available in the instant queue also. So, what’s the film about? Joe Cross is the creator, narrator, and test subject in this masterful documentary. He is a successful businessman from Australia who has neglected his health, is overweight (300+lbs), suffers from breakouts of hives that he has to take a lot of medication for, and one day decides enough is enough. Joe does research on “Juicing” which is a highly popular dietary supplement to ones nutrition however, Joe pushes juicing to the extreme by doing a 60 day fast solely on juice. Juicing is not the use of steroids instead; this form of juicing involves drinking 4, 16oz glasses of vegetables and one fruit a day. We are not talking about V-8 processed juice here but fresh vegetables and fruits. My usual mixture will include kale spinach, sweet potatoes, celery, cilantro, ginger, tomato, carrots, beet, and a granny smith apple. The greener the better they say. All this goes into a Breville juicer, which produces pulp as waste and the purest form of highly nutritious juice from the vegetables and fruit. The amount of vegetables I use would be impossible to consume even if I ate the portion I juiced for 2 days straight for 3 meals a day. I will tell you after drinking my concoction I feel energized and revived. I no longer have the occasional acne breakouts I used to. I honestly feel better since I started juicing. My last physical has also resulted in lower blood pressure and cholesterol. Personally I feel that all the sicknesses and illness that are presently rampant in the world today which, were not as prevalent prior to mass consumption are from the highly processed foods that we eat, and juicing is a step to give your body back what it needs. Just like the early man analogy in the film we once had to chase our food (exercise) and eat what was available to us at that time ie. nuts, fruits and vegetation and did not have the convenience of going to the store or fast food restaurant to buy everything we need. O.K. Back to the film. 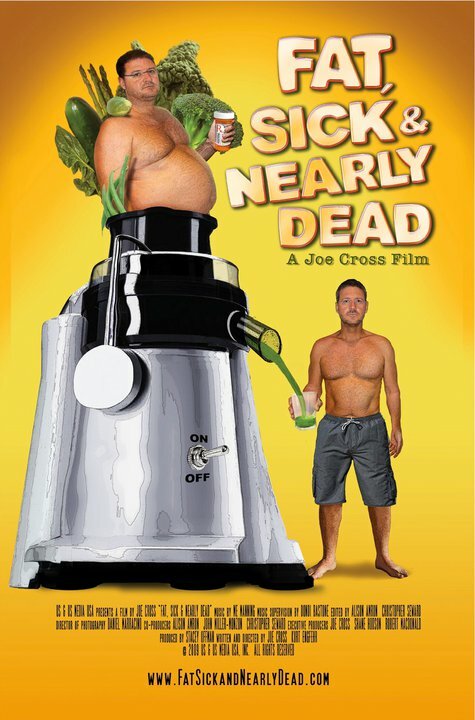 From beginning to end this film keeps the viewer infactuated with Joe’s progress as he journeys across the U.S. interviewing people along the way and spreading the benefits of Juicing and, speaking with them about eating habits and what they eat. What keeps the film authentic is that Joe is just like every one of us. Joe is a person that loves to eat, drink, and may exercise here and there. Through the film we see Joe as he is sometimes teased by food (even just the scent of it) but maintains on his fast. The greatest part of Joe’s journey is when he runs into 430 Lb Phil Staples at a truck stop in Arizona. Joe discovers that Phil has the same rare autoimmune disease that he has. Joe explains to Phil the health benefits of juicing and the amount of weight he has lost. Joe also explains to Phil he no longer has to take his costly medication because his own body has healed itself naturally from juicing. Joe then lets Phil sample a cup and gives Phil a business card and tells him to give him a call if he has any questions. (Joe is just that type of guy, very friendly and shows genuine cares about people he speaks with.) After Joe returns to Australia six months later he receives a poignant call from Phil asking for his help and Joe comes to the rescue. 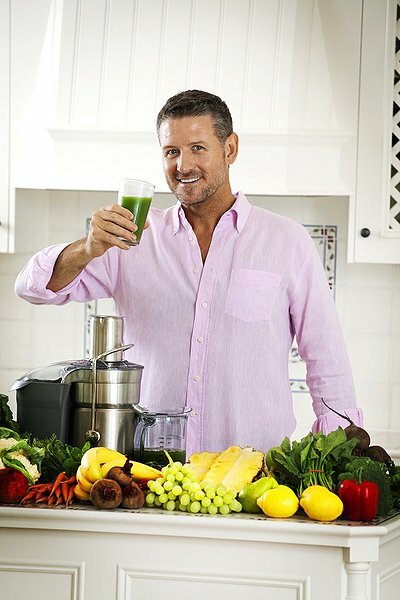 I won’t give too much away but Phil completely turns his life around and shares the benefits of juicing to others. All in all I highly recommend watching this film. This movie is very motivating and after watching, it may encourage you to try juicing yourself. I have yet to try a complete juice fast but instead drink a juice in the morning for breakfast, a regular lunch, and a juice at night. I will soon attempt a 10 day fast and will keep you guys updated. The juicer I bought is the Breville Ikon 900 watt juicer which is the best money I have spent to improve the lives of everyone in my household. If you have a farmers market available in your area I recommend buying from there instead of the super market which will be more expensive. 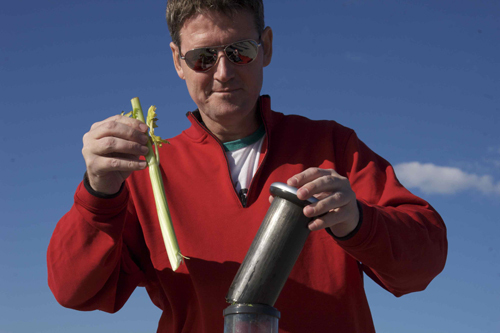 Also go to www.jointhereboot.com for all your information on juicing from Joe and his gang.